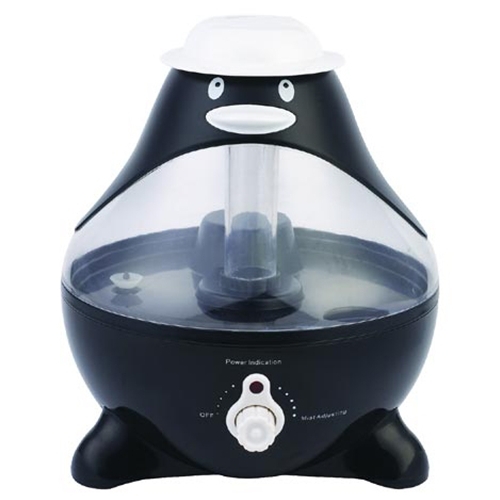 Sunpentown Penguin Ultrasonic Humidifier from HealthyKin.com helps your little ones breathe easier by adding moisture to the air. Provides year-round relief from the drying effects of the AC and Heater. Features super-quiet operation, 1-gallon tank capacity and auto shut-off protection (with no audible alarm) - the perfect addition to any child's room.